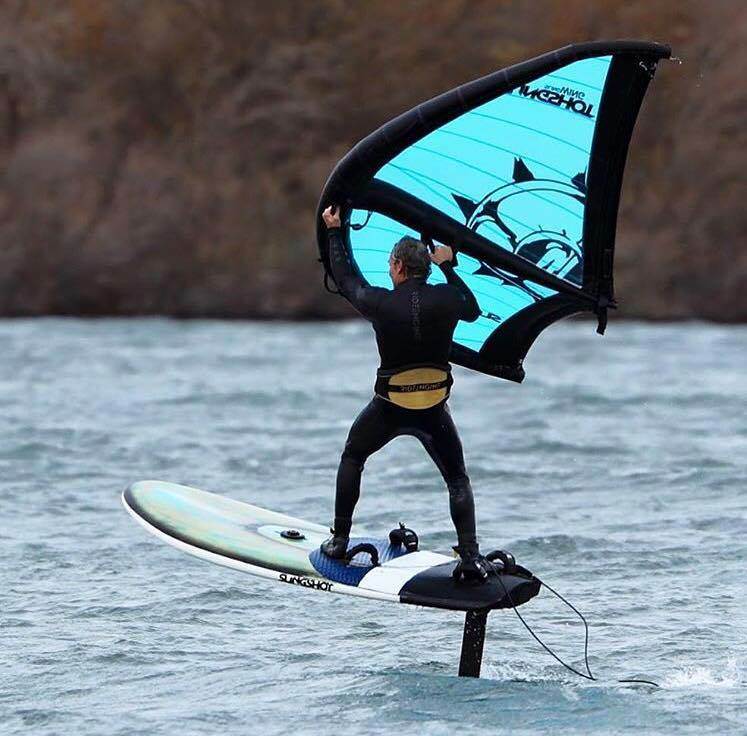 You might be right, but it might also just be because the kitewing/windsail is easily available because of years of use in skiing, so of course some use it on hydrofoils, either because it works well, or just for the fun of trying to do it with these. Yes - how it performs will decide if it lives or dies. Tony Logosz has also experimented with a kitewing. So there are plenty of capable people checking it out. Last edited by Kamikuza on Sat Jan 12, 2019 1:53 pm, edited 1 time in total. Stumbled on ... from ten years ago! Starts at 2:30. It is a homebuild, pretty sure - as the French really got hydrofoiling into "The world" by evolving it from slow Carafinos, to later being the worlds fastest sailing craft thus everyone jumped that wagon of course.